Velocity is thrilled to collaborate with Path with Art to offer DANCE YOUR DANCE. Path with Art is a local nonprofit organization offering programs that help transform the lives of people recovering from homelessness, addiction, and other trauma by combining the powers of creative engagement and community connection. Visit www.pathwithart.org for a full schedule of classes. DANCE YOUR DANCE: A dance class for anyone with an appetite for movement – no experience required, all abilities welcome. We explore many styles of dance and the rhythms, histories, music and cultures they come from, while developing balance, strength, flexibility and coordination. Participants may be standing or seated, no special clothing or shoes required. This is not partner dancing, but full of social engagement and personal discovery, taught by a professional dancer who believes everyone should dance their dance! Individuals must be affiliated with one of Path with Art’s partner organizations to enroll. For more information, email info@pathwithart.org or call 206-650-0669. 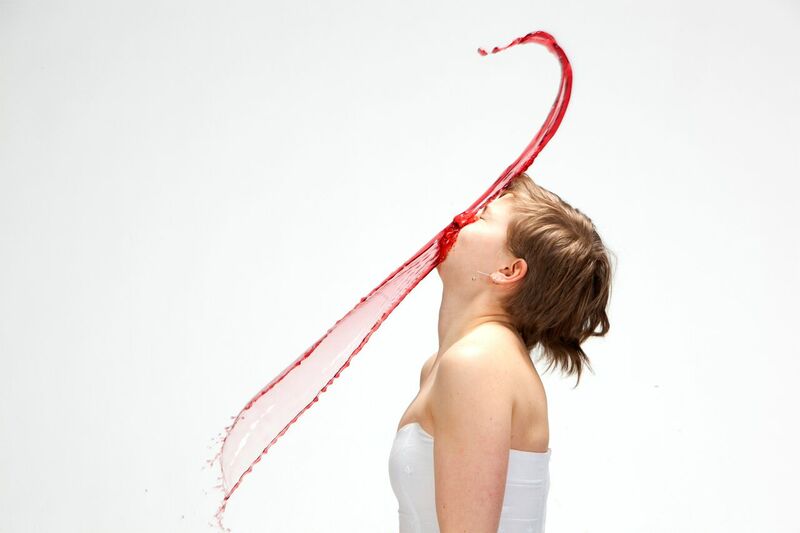 ALICE GOSTI is an Italian-American choreographer, hybrid performance artist, curator and architect of experiences, working between Seattle and Europe since 2008. Gosti’s work has been recognized with numerous awards, commissions and residencies including being a recipient of the 2013 Vilcek Creative Promise in Dance Award, the 2012 ImPulsTanz danceWEB scholarship, the 2015 inaugural Intiman Theatre’s Emerging Artist Program as a Director, the Bossak/Heilbron Award, the Seattle Office of Arts and Culture Award, and an Artist Trust GAP Grant. Gosti was also a two-time Cornish Artist Incubator Awardee, Velocity Dance Center’s 2015 Artist-in-Residence, is Seattle University 2016 Artist-in-Residence and University of Washington’s bst artist in residency. In 2015, Velocity commissioned, produced, and presented Gosti’s critically acclaimed 5-hour immersive performance How to become a partisan— a multi-disciplinary event inspired by the Italian Partisan Movement, and the unremembered women who changed the course of history and the concept of resistance. Gosti’s work has been commissioned and presented nationally, by On the Boards, Velocity Dance Center, Seattle Art Museum, Intiman Theatre, Vilcek Foundation at the Joyce (NY), ODC Theater (SF) as part of the SCUBA national touring network, Risk/Rewards Festival (PDX) and Performance Works Northwest (PDX). Internationally, her works have been presented in Italy by Associazione Culturale Dance Gallery, Teatro Stabile Dell’Umbria, Premio Equilibrio Roma, Rassegna per la Giovane Danza D’Autore, Anticorpi XL, FAST di Terni, Verdecoprente/Associazione Ippocampo and Museo Civico di Palazzo della Penna. Gosti has worked as a performer and collaborator with artists Sara Shelton Mann, Keith Hennessy, Carolyn Carlson, Mark Haim, amongst others. She is the founder of Yellow Fish // Epic Durational Performance Festival, the world’s only festival dedicated exclusively to durational performance—international artists create original performances presented at at various sites throughout Seattle. Meeting basic needs is not enough to end the cycle of homelessness, addiction, trauma and move to a life of stability.